Pvt. 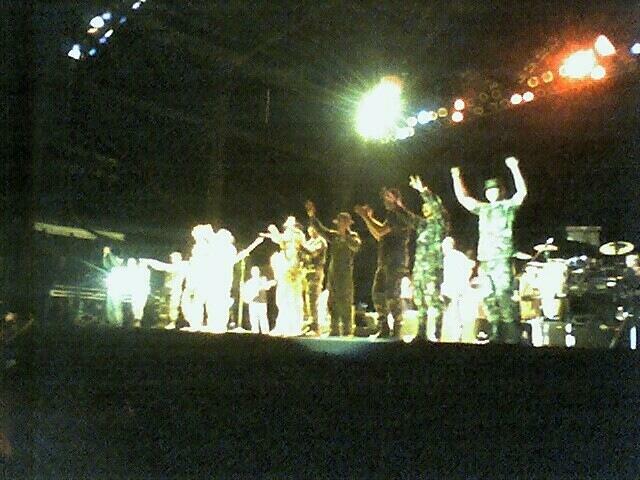 Murray thank you for letting us know how much encouragement we gave to the soldiers at the concert that night. It was a very emotional time that night to not only hears that song but also to see those that the song was written for. When I saw the soldiers start coming on stage I started to cry because so many of them have lost their lives to defend our country and I feel that they often do not get the support the they need and deserve. So thank you again for letting us know that we too have helped our country by supporting our soldiers.